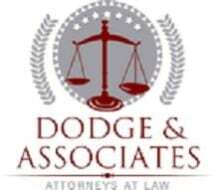 If you live in Portland, Oregon, or any of the surrounding areas, and you suffered an injury on the job or as the result of someone else's negligence or wrongdoing, you can turn to the legal professionals at Dodge & Associates Attorneys at Law for the quality, effective representation you need to help increase your chances of obtaining the compensation and benefits you deserve. Devoted to your needs, we promise to work closely with you as we assist with filing your initial workers' comp or SSDI claim or appealing a denied claim. If you need to bring suit against a third party for the damages you suffered, you can rely on us to help you devise the strongest case possible, and we will remain with you every step of the way to support you as much as we can during this difficult and uncertain time in your life. In all cases, you can trust us to work hard to help improve the likelihood of obtaining the full amount of compensation and benefits to which you are entitled. Our law firm offers Spanish-speaking services and have other language interpreters as well, and we are ready to help you secure a brighter future for yourself and your family. To find out more, you can contact Dodge & Associates Attorneys at Law by calling our law office or visiting our website to schedule an initial consultation.